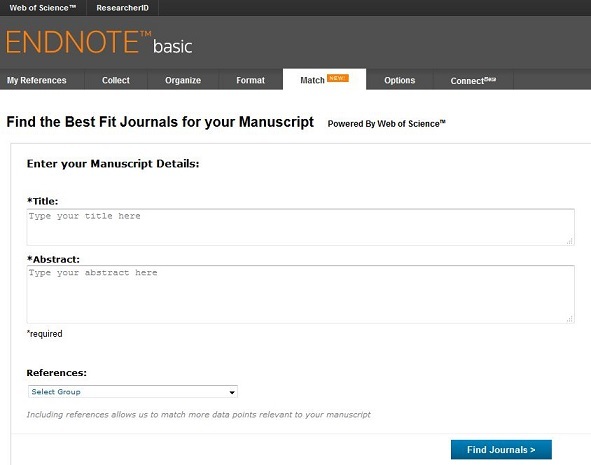 The Endnote manuscript matcher can help you to find the journals that best fit your manuscript. Therefor you should enter your title*, abstract* and references (* required). EndNote basic analyzes data and citations from the Web of Science and suggests a list of up to ten journals that may be interested in papers like yours. The matches include top keyword rankings and the JCR Impact Factor. Learn more at the product details page. To find information on current funding programs and grants you may use the database ELFI (ELektronische ForschungsförderInformationen) which is available for Max Planck researchers. The database contains 10000 programs and 4500 national and international funders. Serioussearch is a search tool with which the user can carry out an enlarged and more complexed search. The task of this tool especially consists to support the search with the help of different extended functions and features. The UNESCO has developed an extensive arrangement about Open Access. Here you can find everything about Open Access what you should know, edited for librarians in education as well as for scientists.